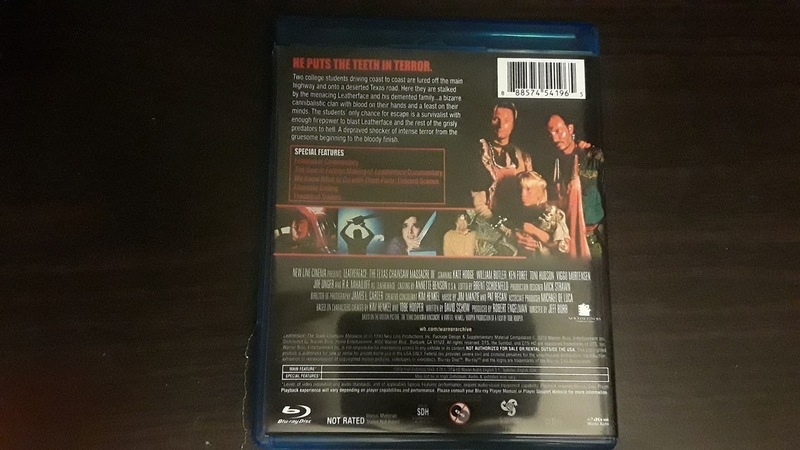 All of the special features here are from the 2005 dvd edition of the film. The only thing that we don’t get from that release is the R-rated version of the film, a few trailers for films that were current at the time, and some DVD-ROM features. Featuring director Jeff Burr, Special Make-up and Effects Maserto Gregory Nicotero, writer David J. Schow, Actors R.A. Mihailoff and William Butler, and New Line executive Mark Odesky. 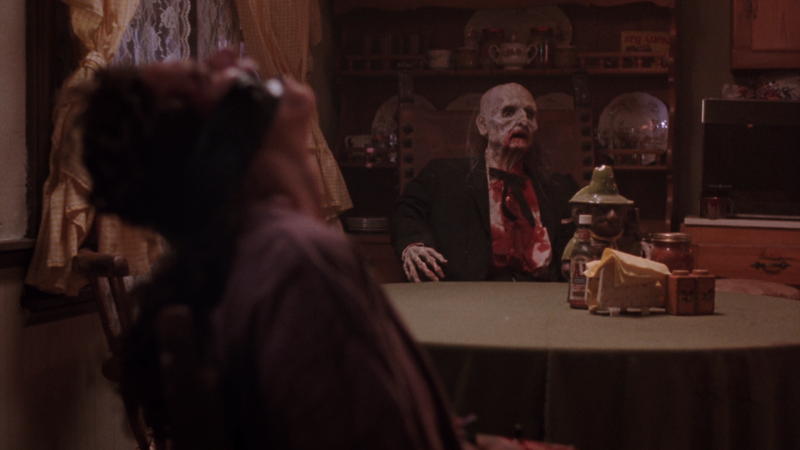 This is a well put together and entertaining look back at the making of one of the most underrated 90’s horror films. The doc starts off with a bit of background on Ed Gein, who would serve as inspiration for a few well known, and some not so well known, horror films including Psycho, Silence of the Lambs, and The Texas Chain Saw Massacre. This bit does come with pretty gory crime scene photos of some of Gein’s victims. From there we get a look at the actual production through on-set footage (which I wish there was more of), the story of director Jeff Burr’s firing, and a lot of footage that was cut from the film. Director Jeff Burr introduces this segment that features a lot of cut footage and alternate camera angles. I would say this is worth a one time watch unless you are trying to make the ultimate fan edit. 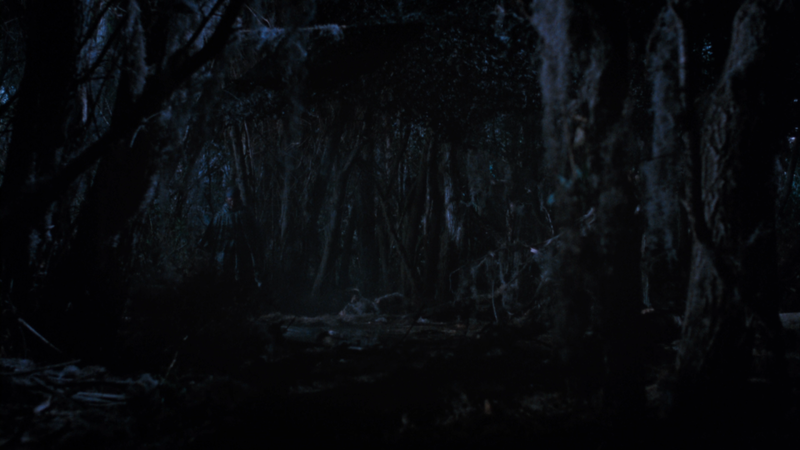 This ending is almost completely different from the ending that we got except for the fight in the swamp. 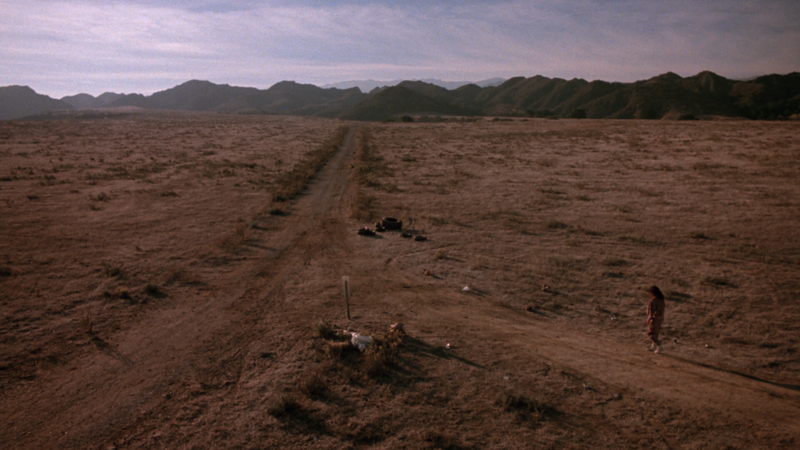 We see one of the villain’s true death scene (and the crappy one we got in the film) as well as a different desert scene. All in all, I think that this is the better ending. This is the King Arthur teaser that made everyone go nuts for the film and it is a pretty kickass way to reintroduce the character. I was surprised by the picture. Framed in a 1.78:1 the film looks very vibrant and alive. Colors look great, although there is a redness to some of the faces that don’t look quite right. Detail is great with everyone getting a chance to shine. There is a thin layer of grain and the picture has a nice film-like feel to it. We also can feel the heat during the desert portions of the film. The nighttime scenes are handled well here too. No compression artifacts are present and the overall transfer is great. We are provided with an English DTS-HD Master Audio track and it does the job just fine. We get a lot of disturbing effects throughout the track which adds to the overall feel of the film. The chainsaw, which is used a lot in the film, sounds better than ever here. 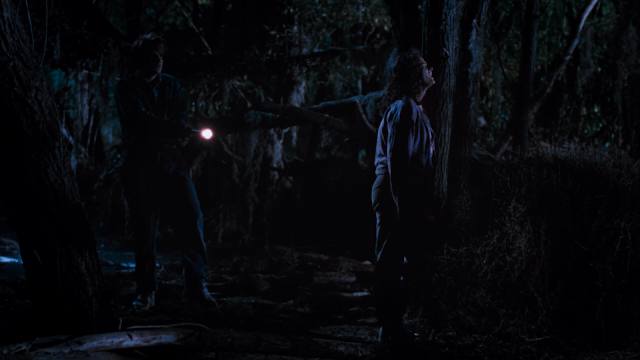 There is an extended scene where Leatherface fights Kate Hodge and Ken Foree in the swamp. The chainsaw is running the whole time, but it keeps dripping underneath the water because it is rotating in the water. The sound in the scene makes the scene a lot scarier and the track handles it well. Dialogue is crisp and clean. This is a really good track. 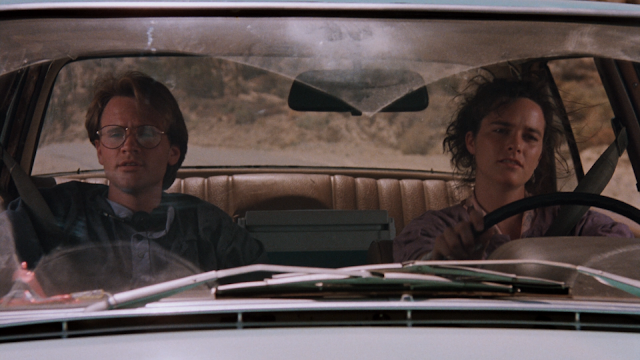 Two college students driving coast to coast are lured off the main highway and onto a deserted Texas road. 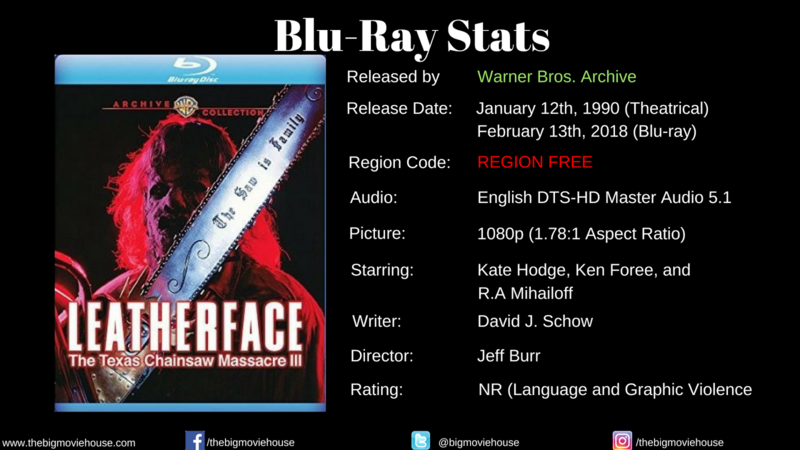 Here they are stalked by the menacing Leatherface and his demented family...a bizarre cannibalistic clan with on their hands and a feast on their minds. The students’ only chance of escape is a survivalist with enough firepower to blast Leatherface and the rest of the grisly predators to hell. A depraved shocker of intense terror from the gruesome beginning to the bloody finish. 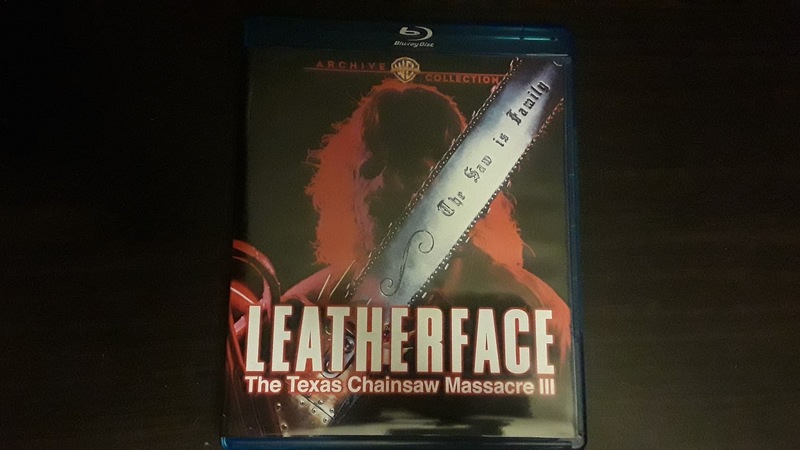 The Texas Chainsaw Massacre series has a very odd lineage. The first film is by far a classic of the genre and still one of the scariest films ever made. 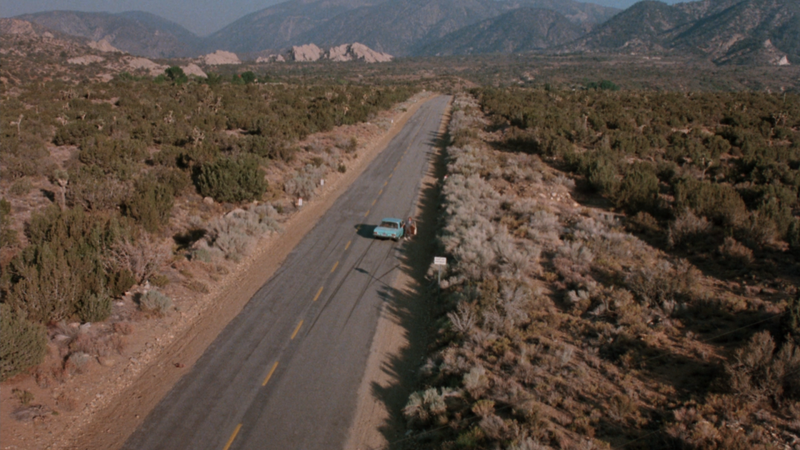 It is a film that lures you in, much like the family in the film, and then takes you on a journey that will stay with you for a very long time. For a film that has very little in the way of gore, The Texas Chain Saw Massacre still holds a punch after more than 40 years. 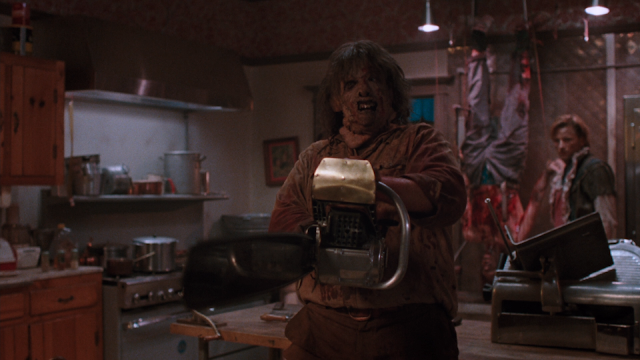 The second film, aptly titled Texas Chainsaw Massacre 2, is a film that was poorly received by both critics and fans. No one knew what to make of the film. Was it a comedy? Was it a horror film? Was it both? Yes, it was. 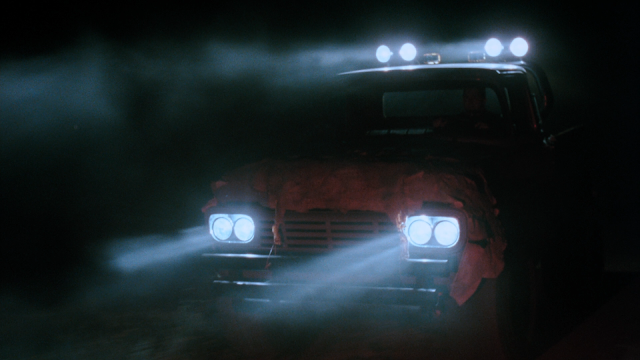 Tobe Hooper wanted to make the film that everyone thought the first one would be, but with more comedy. The film is not balanced all that well and the pacing can be a killer, but the film still holds a strange attraction to it and it also contains one of the best jump scares in all of horror history. The third film, Leatherface: The Texas Chainsaw Massacre III, is a direct sequel to the first film. It skips out on anything that was done in the second film outside of the line “The Saw is Family.” This film picks up a few years before the original’s 20th anniversary and feels like more like a remake of the first film. We still have a hitchhiker, broken down car, crazy family in a house in the middle of nowhere, etc. There is a lot going on in the film. This time the film has a pretty nice budget and treats the family as they were treated in the first film. There is some comedy in the film, but it is very dark humor. 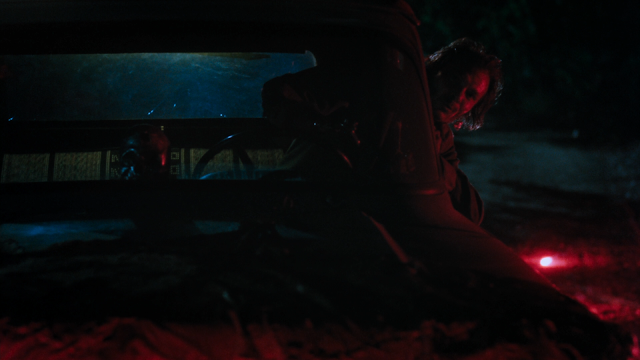 There is a scene where Leatherface is told by his mother (?) to go do his lessons. He goes into his room and takes a crudely made “Speak and Spell”. 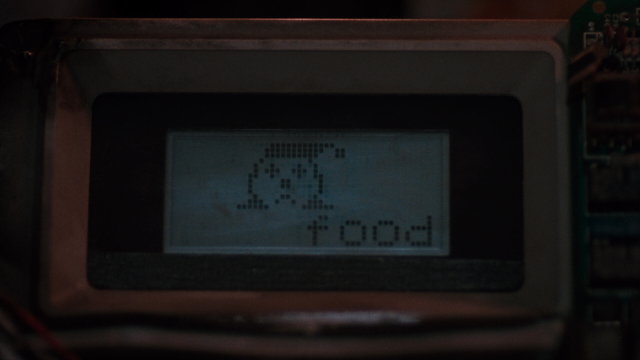 The device displays a picture of a clown and asks what is on the screen. Leatherface spells out “food” and the device rejects it. He does the same thing again and the device rejects it again. There are other darkly comedic moments, but that one is by far the most brilliant one. 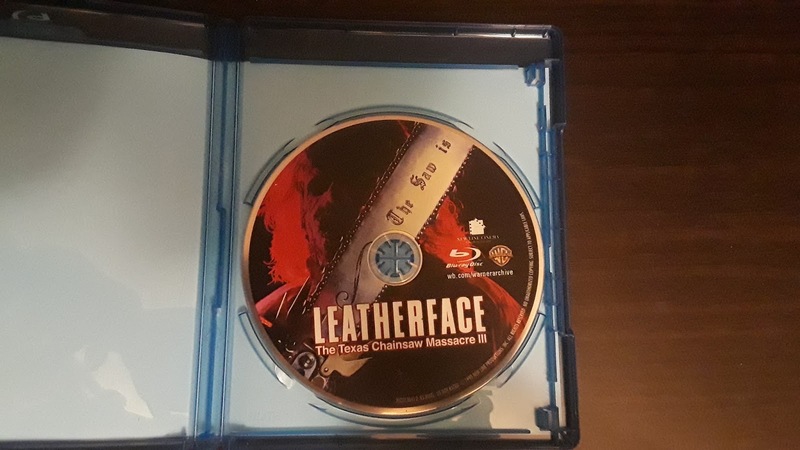 This third film had a meaty budget for the genre and KNB did a lot of really cool effects for the film, but it doesn’t really feel like a Texas Chainsaw film. The second one doesn’t either and that was made by the originator. Part III feels like any other horror film from the late 80’s and that is not a bad thing. The film is really fun to watch and the pacing is really good. The film was over before I knew it. The film just doesn’t have that rawness that the first film had, but I don’t think that the studio wanted that. 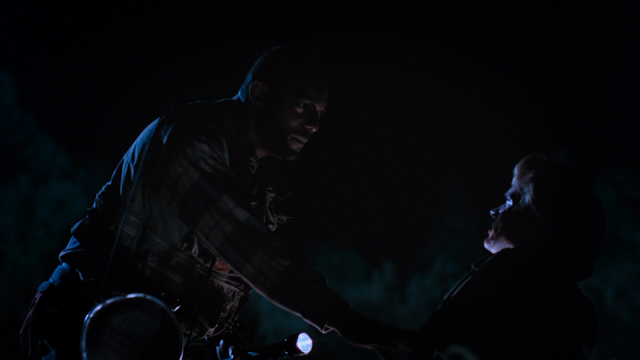 They wanted their very own Jason and they thought that they could get it with Leatherface. 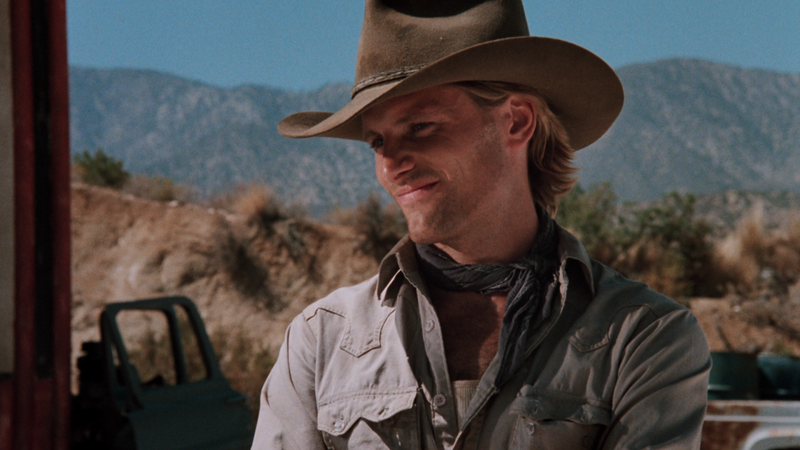 Of course, they would get Jason a few years after this film, but they would go and screw that one up. 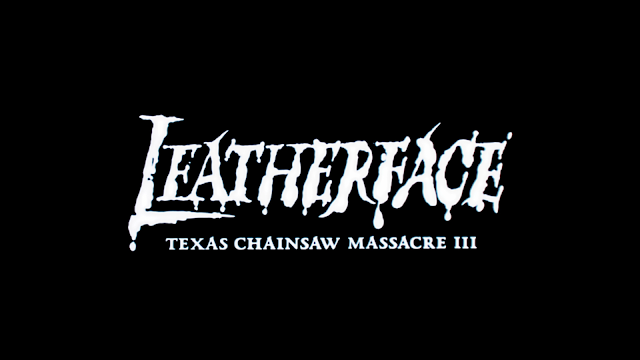 Leatherface: The Texas Chainsaw Massacre III is a fun horror film. It doesn’t try to do anything that we haven’t seen before, but there is nothing wrong with that. The film plays by the rules and is successful at it. I think that the film gets a bum wrap for not trying to be like the original or even the second one, but it doesn’t have to be. If this film had not been a sequel, it would still be a successful film. CHECK OUT PAGE 2 FOR MORE SCREENSHOTS!! BE AWARE SCREENSHOTS MAY CONTAIN SPOILERS! !